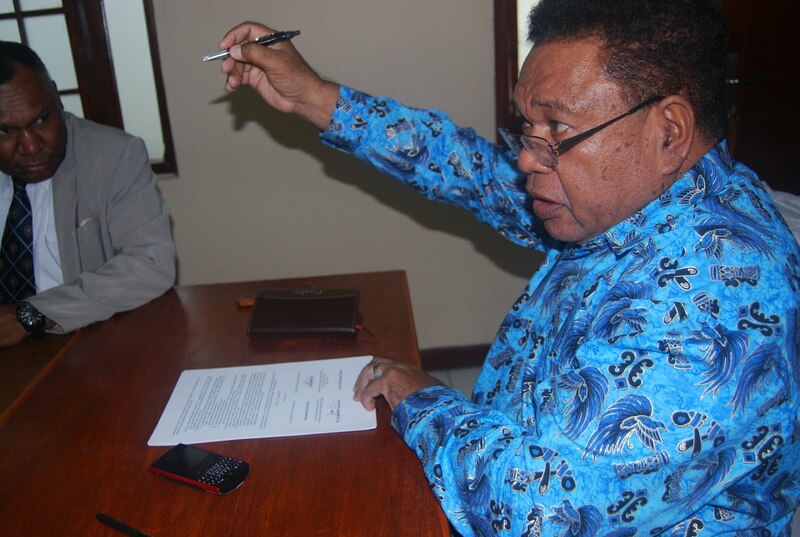 FOUR PAPUAN church leaders drafted and debated about their letter to President Susilo Bambang Yudhoyono while they’re in Jakarta this week. They met Indonesian Coordinating Minister on Politics and Security Djoko Suyanto on Monday, Dec. 12. They spent the next four days to draft the seven-page letter. 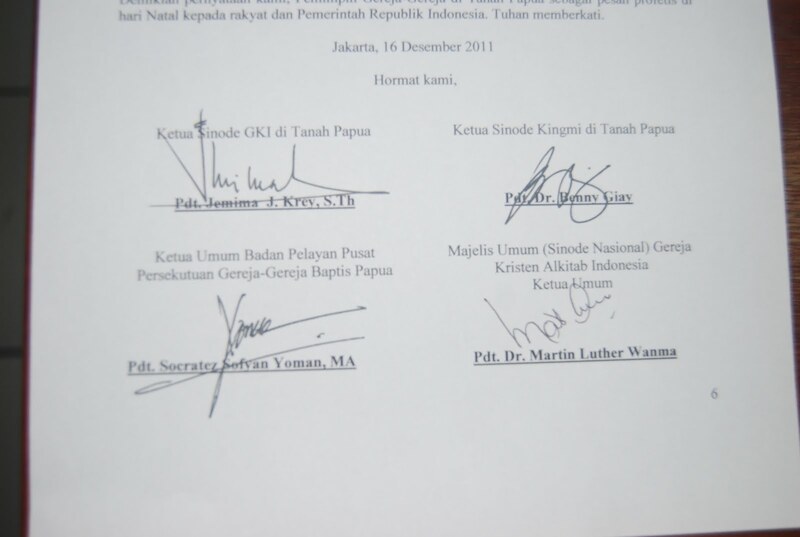 It was finally signed at about 4pm at the office of the Communion of Churches in Indonesia. They handed over the letter to President Yudhoyono on Friday night at his private residence in Cikeas. They titled the letter, “Pesan Profetis Gereja-Gereja se-Tanah Papua” or the “Prophetical Message from the Churches in the Land of Papua.” Another title is "Menangani Bayi Nasionalisme (Separatisme) Papua sebagai Hasil Perkawinan Paksa Jakarta-Papua." They prayed and shook hands after signing the seven-page letter. They spent most of their time in the office of the Communion of Churches in Indonesia on Salemba Street, Jakarta. It has a Papua Desk dedicated solely on helping Papuan churches doing their businesses in Jakarta. Rev. Phil Erari, a Papuan priest, an environmentalist and a board member at the Communion of Churches in Indonesia, also attended the signing event. 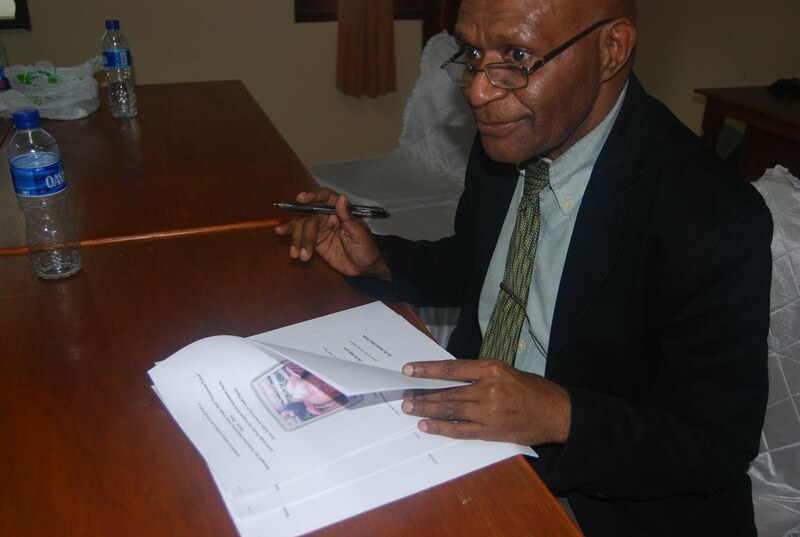 The seven-page letter has the picture of a dying Papuan freedom fighter, Yawan Wayeni. It says that Indonesian police officer Imam Setiawan had killed Wayeni on Aug. 9, 2009 on Serui Island. Setiawan got a promotion. He became the police chief of Jayapura. On Oct. 13, 2011 he led the use of excessive force to crack down the Papuan Congress after one of the leaders read out the 1961 Papua Declaration of Independence. 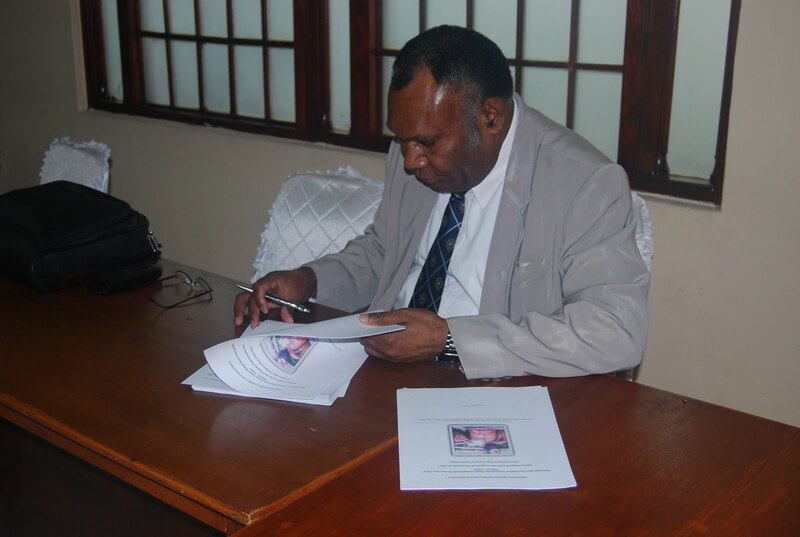 Setiawan is now the deputy director of traffic management at the Papuan police department. Partai Lokal Solusi di Papua?